Much cleaner. 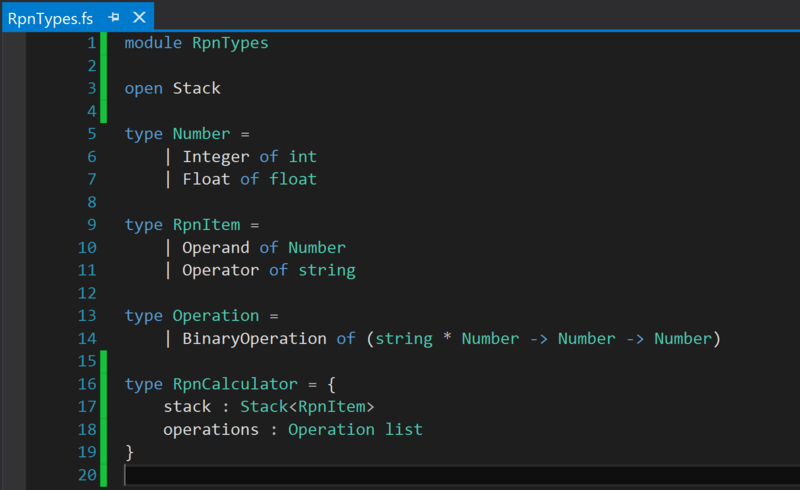 Now, let’s start with RpnCalculator. I want RpnCalculator to take a stack containing strings in Reverse Polish Notation and return the result. 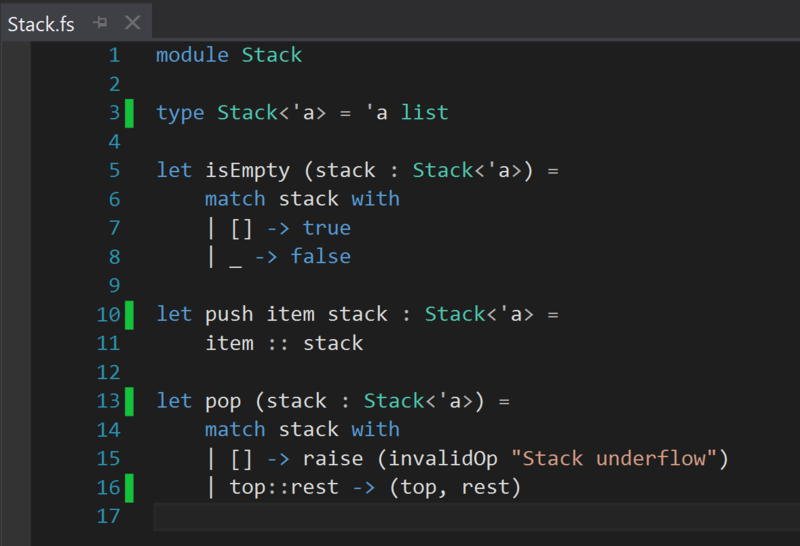 Each item in the stack will either be an operand or an operator. 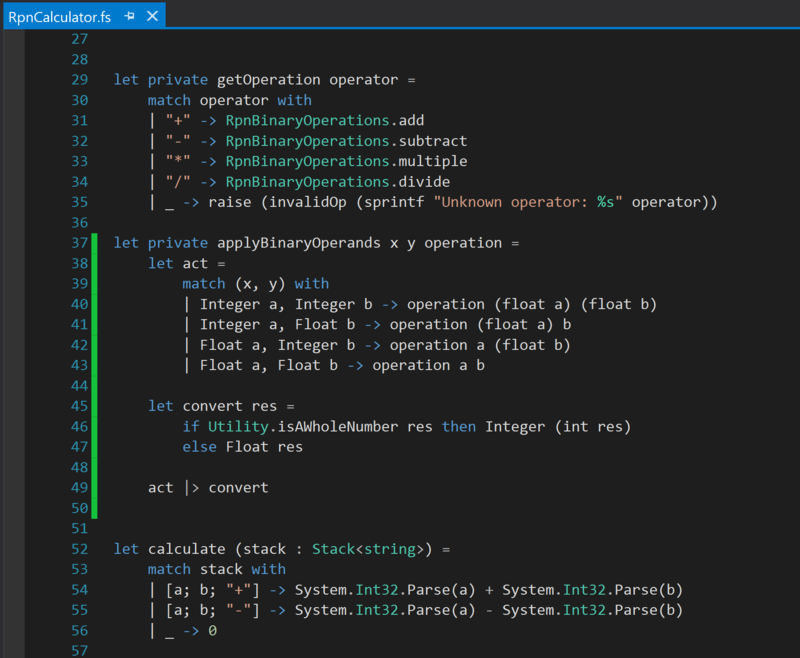 Operator can be either integer or a float. The number of operators the calculator supports is fixed. For invalid Reverse Polish Notation or unsupported operators, proper error message should be displayed. It is a good point to stop and look at what I have done so far. Moreover, it would also be good idea to think about limitation of current implementation and how I should proceed further. And, finally if I have even more time, I will think about problems like- what is the answer to life, the universe and everything. It does not give me any immediate benefit. But, it helps me to keep tests for similar functionalities grouped together- which, as a result, also helps me realize what functionalities I have implemented so far from a very high level view. Now, the real fun begins. 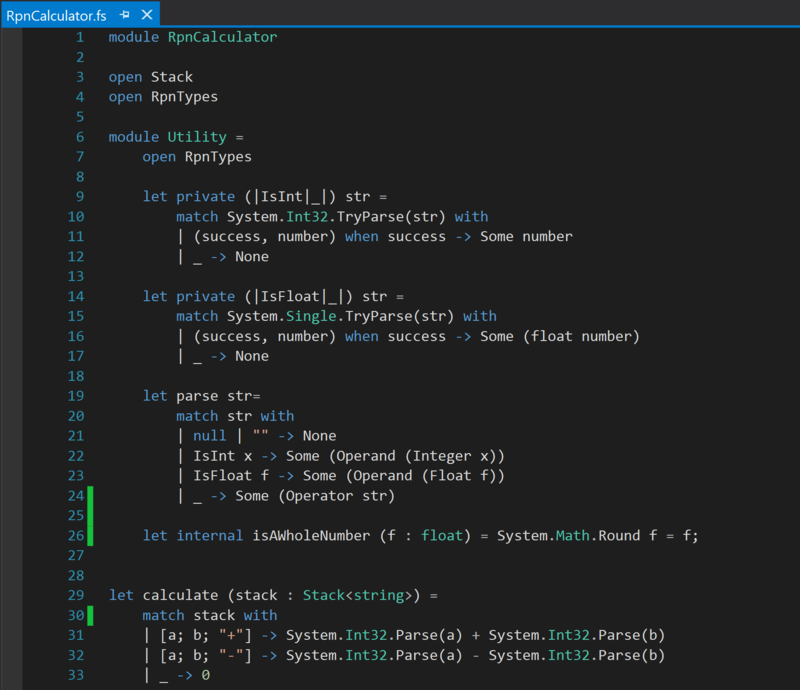 Looking at my calculate method implementation it looks like it is going to get messy as I keep adding more operators. 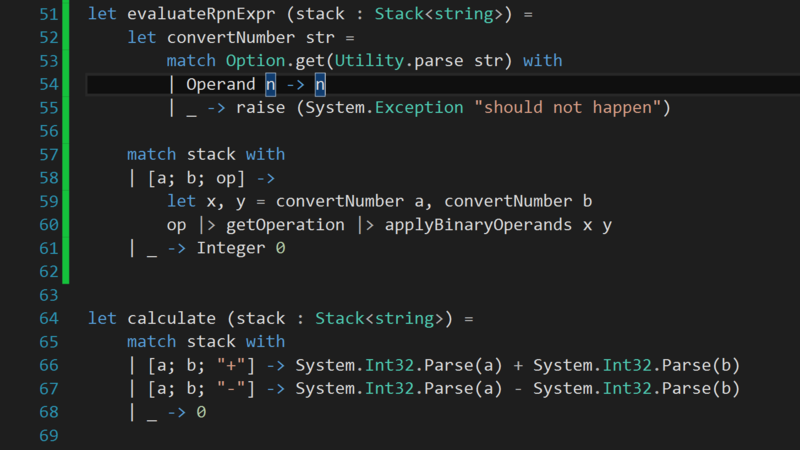 Also, I can not really support operands with more than one operators in a single expression with the current implementation. So, I better start refactoring the implementation now. Important thing to realize that, all my tests are green. I can only change my implementation code as long my tests are green. Well, there may be some cases where I need to introduce breaking changes because of change in requirement and implementation strategy. But, I worry about them in appropriate time. Another thing I will keep in mind that I will only refactor code keeping current and upcoming “needs” in mind. Not for “what may come” or “imaginary features”. Simply applying KISS and YAGNI principles together. I will first concentrate on the types I need to represent elements of an RpnCalculator. I will place the type definitions in a separate file. I added a new file called “RpnTypes.fs” in RpnCalculator project. 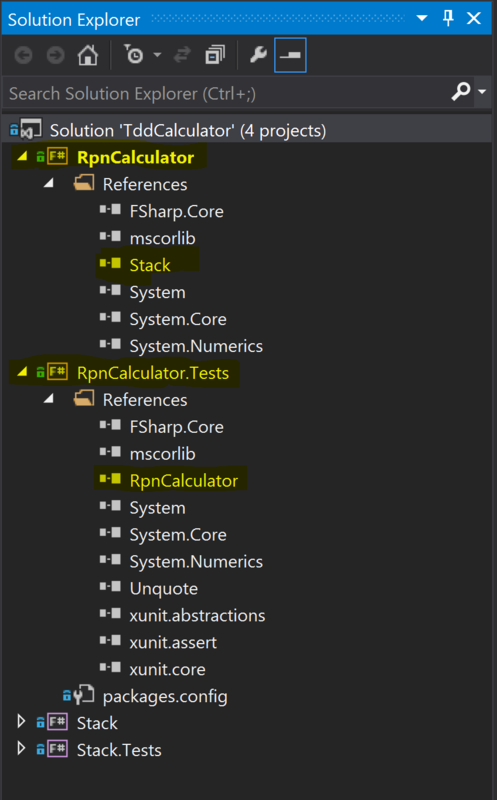 I also need to have this file placed before RpnCalculator.fs as the types will be the core component of the RPN calculator. 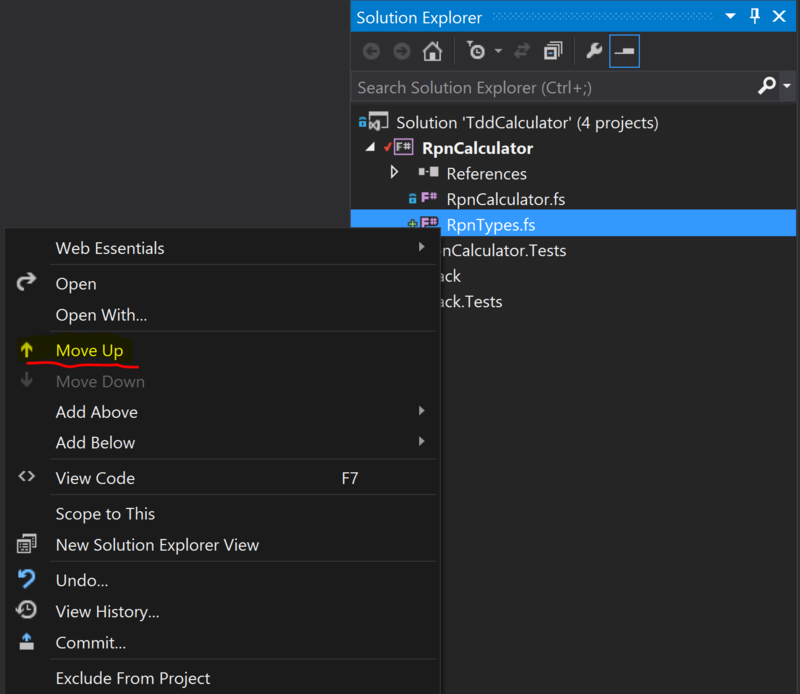 To do that, I simply right-click on the newly created and select “Move Up”. Keep doing it until the RpnType.fs file is placed at top in the project. Important thing to note that I haven’t yet touched any code that may affect my test result. Just to make sure, I run all of the tests and make sure that I have a check point to get back to. Because, I am about to change the way things work in a moment. I feel like, the first thing I need is to parse string items passed into the RPN calculator into the proper types. 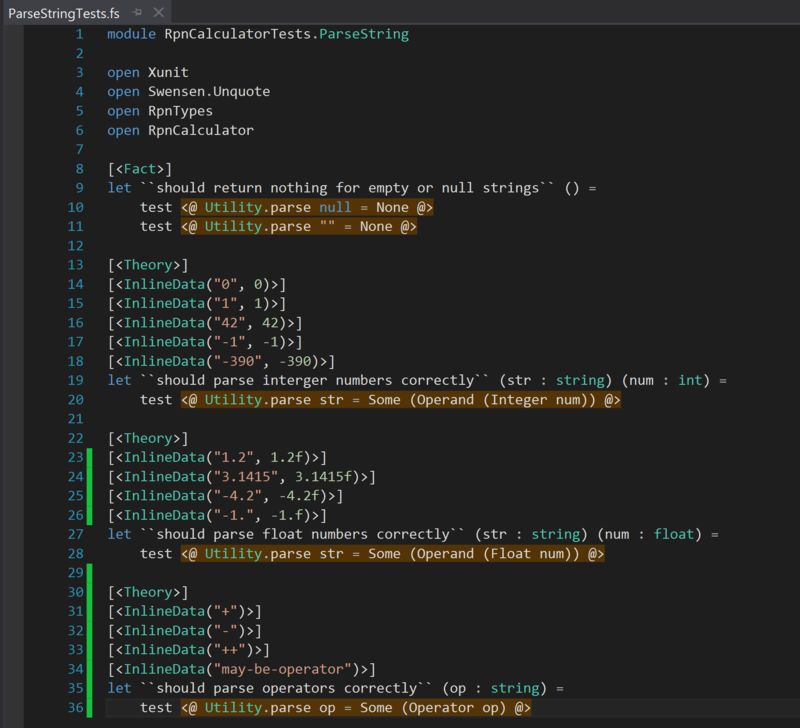 Here is the “parse” method with empty implementation for that purpose written in a sub-module named RpnCalculator.Utility. Note that, there are barely any type declaration for functions and parameters. I am, and will be in later posts, relying on type inference as much as possible, without reducing the readability of the code. Also, there is a very small utility method called “isAWholeNumber”, which I will be using in a moment. With the parsing part done, I feel like doing some mathematical operations the calculator will perform. I created a file named “RpnBinaryOperations”, right after the RpnTypes.fs file. I know what you would say. And, I am not proud of it either. But please keep in mind that this is a work in progress and I didn’t think it through. But, look at the bright side, things starting to look “functional”. Part-1, setting up the solution and developing the stack.